Craig Stidham, Amarillo Photographer is taking high school sports pictures to another level by mixing the sport with the fashion style Craig is known for. Well pretty much anywhere in the Texas Panhandle. We specialize in Fashion Inspired Modeling Portfolios, High School Senior Portraits, and Lifestyle Photography. We mix fashion and editorial photography with unique personalities, allowing us to offer an experience and quality level unmatched in the area. This experience results in images that are individually tailored to each and every person. Natural locations are used, along with studio shots, to create unique fashion images. We strive to provide an experience that will never be forgotten. The images allow others to truly enjoy that experience as well. Craig Stidham was honored to be one of the TOP 50 Photographer in the industry, By the Master Mind PhotographyGroup. His reputation as one of the top photographers in the industry has earned him a TOP 100 Photographers Choice award 3 years in a row, and the tittle of Senior Photographer Icon Statius in 2016, from Senior Style Guide. What he promises to his clients is a editorial photography experience that focuses on their true beauty – inside and out. Craig works with his clients to transform them into the wonderful young women they are. With changing social standers Senior Pictures for us are moving into letting the Senior just simply be themselves, No need for heavy make overs, No heavy retouching making seniors look like plastic. Just Them, in there cloths, in there look. Simply REAL with of course the fashion editorial style everyone has come to love. The International Model and Talent Association (IMTA) concluded New York, Ny. The IMTA is held twice a year where many modeling and training centers from around the world come to showcase their students. Models, actors, singers, and dancers show their potential in front of the largest audience of agents, managers and casting directors ever assembled. When looking in IMTA your book needs to be as strong as possible, Craig Stidham Photography can produce award winning modeling portfolios. The new Senior class of 2019 want to protrey themselves as grown up independent and ready to take on the world, Yes this just calls for a bit of attitude and a photographer with the skills, equipment and studio to just make this happen. Craig Stidham photography located in Amarillo, Texas, is just that person with a bio and resume to long to list in this blog post, will make it simple. 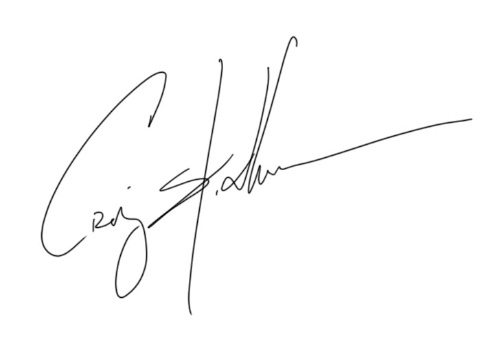 Go look at his work at www.craigstidham.com and just see how the quality and craftsmanship of his work.